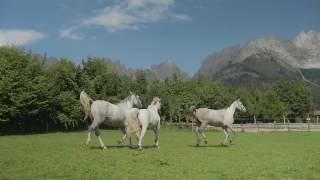 It is thanks to Balthasar Hauser&apos;s love of horses in general and Lipizzaners in particular that, since 1980, the Stanglwirt has been home to Austria&apos;s first private Lipizzaner stud. Even though the horse enthusiast does not ride himself, Balthasar Hauser was always very taken by the gracefulness of the "horse of kings" and in the end, after overcoming a few hurdles, he was able to fulfil his pure-bred equine dream. Much to the delight of our horse-loving guests. However, as well as the owner of the Stanglwirt, the literal father of this successful project was the stallion "Pluto Verona". At an ORF charity event called "Light into Darkness", Balthasar Hauser bought the noble "founding father" from the Spanish Riding School in Vienna in 1986. He ensured the pure-blooded and fruitful continuation of the line at the Stanglwirt Lipizzaner stud until his death at the ripe old age of 33. 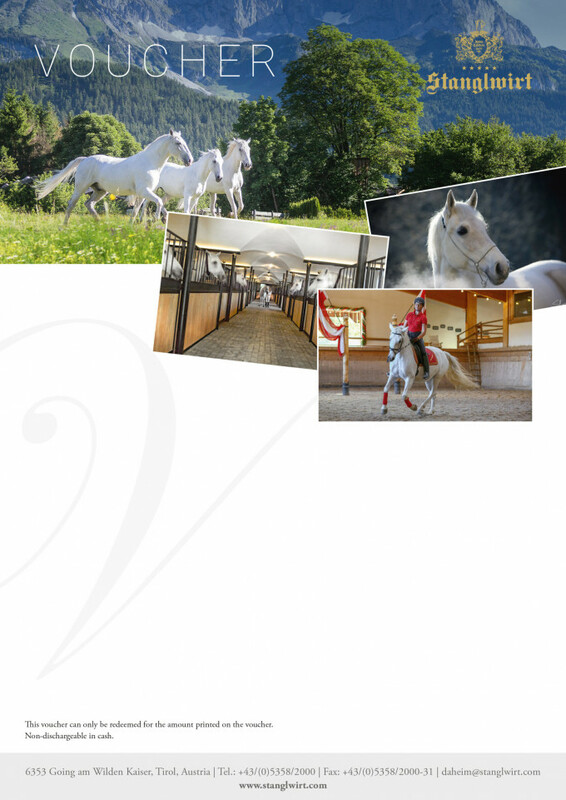 Today we have no fewer than 24 Lipizzaners who attract riding enthusiasts from all over the world and continue the long-established equestrian tradition at the Stanglwirt. Discover the world of vouchers with lots of great gift ideas.